Ammoniated clear blue formula offers unusual cleaning characteristics. Non-filming. Non-streaking. Retards soiling and finger printing. Quick drying. Use on windows, windshields, mirrors, display cases...any glass surface! Cost conscious users choose drum, pail or gallon package. 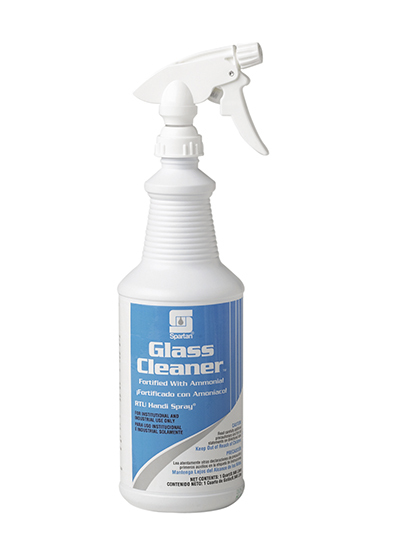 Also available in RTU Handi Spray quarts for ultimate user convenience. Authorized for use by the USDA.